Kick That Now Vol. 2 is the twin pack of Vol. 1 (also containing 500 kicks) categorized in types varying from: Raw to Percussion and from Soft to Experimental. This sample pack will definitely have some interesting materials to ramp up your productions! The Kick That Now Vol. 2 package also contains our destined artwork, backgrounds & the demo tune. 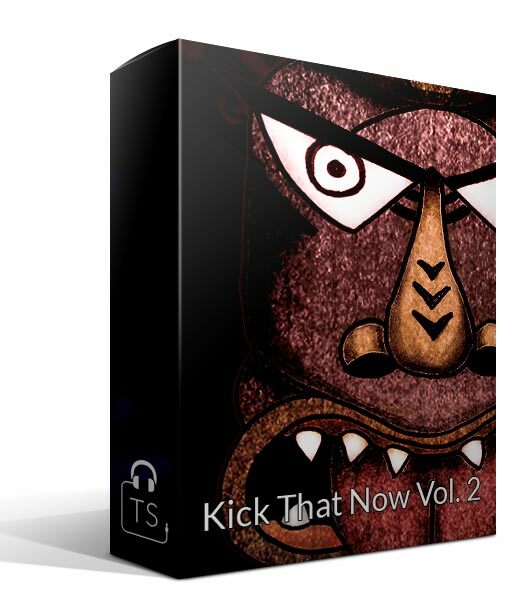 Fill in your name and email to get the demo pack of Kick That Now Vol. 2, containing the 10 samples listed on the left, for free! Will my speakers survive these kicks? We simply just can’t guarantee..